Innovation is not easy in a fragmented water sector. That was one of the conclusions at the third annual EIP Water conference, which was held on this occasion in Leeuwarden in The Netherlands. But innovation is clearly necessary to deal with the effects of climate change and of the growth of cities. 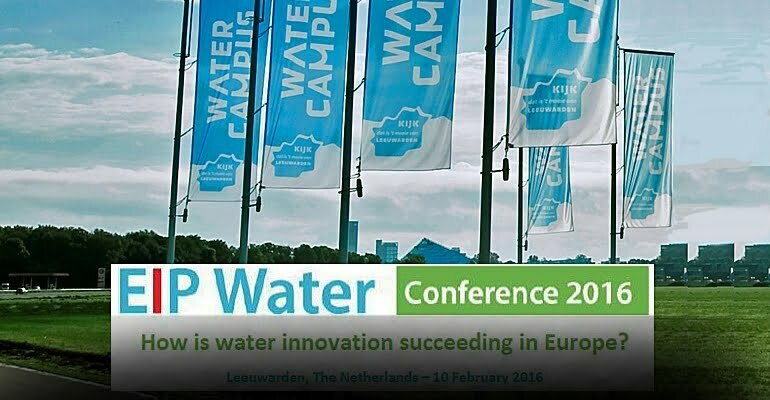 The European Innovation Partnership (EIP) on Water – the goal of which is to accelerate the uptake of innovation by end-users – is therefore strongly committed to collaboration. The dimensions that water problems have already reached was made clear in the presentation by Alex Nickson of the Greater London Authority. In 2012, the Olympic Games came close to running out of water. Moreover, thousands of residents of the metropolis are subject to overflowing toilets when it rains heavily. How to innovate, then? Innovation economist Mariana Mazzucato advocated a stronger role for government. Not only in the early, risky stage of the research, but also in the process of the development of a product and its introduction to the market. Many Apple innovations came about on the basis of government subsidies. The touchscreens on smartphones were partly developed through CIA funding. Investor Reinhard Hübner called for more collaboration, particularly with local partners. As a start-up, on your own, you won’t make it. Collaboration with such parties is precisely what EIP Water aims at through its Action Groups. Watershare members CTM and KWR lead the Action Group in the field of urban water management (City Blueprint) – about which Stef Koop (KWR) and Richard Elelman (CTM) made a presentation.